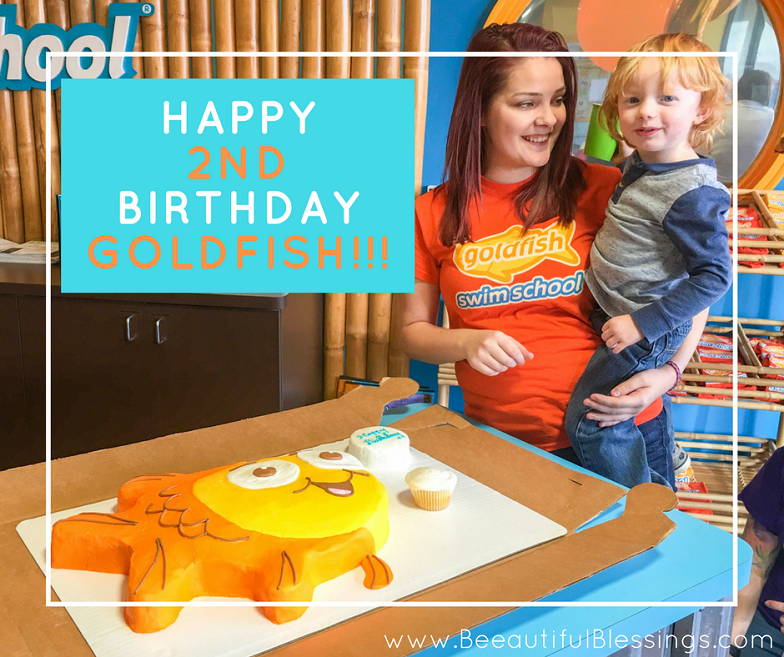 (Bee)autiful Blessings: Happy 2nd Birthday, Goldfish!!! 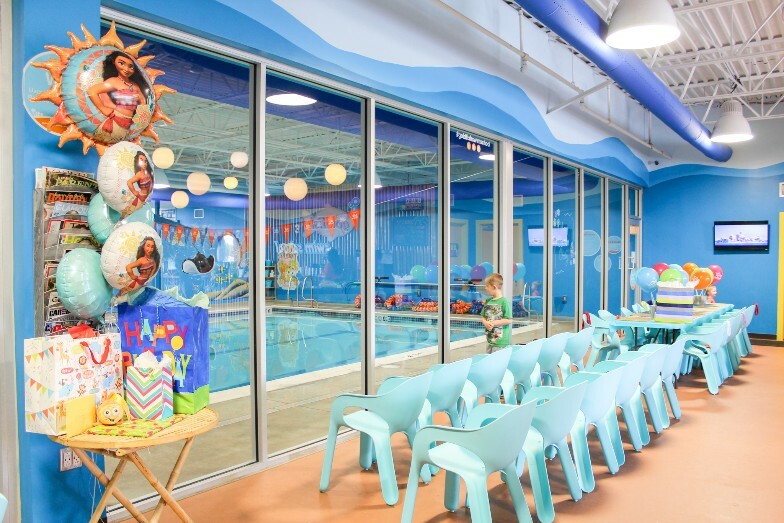 For the last six months, we've been taking Charlie and Crosby to Goldfish Swim School-Dayton for their weekly swimming lessons. At three and 18 months, they're not exactly ready for the Olympics yet, but in the last month, I've seen real, genuine progress. Charlie loves using his goggles to put his face in the water and is getting closer each week to swimming unassisted! My little Crosby has started paddling his arms and kicking his legs like crazy. I couldn't be more proud of our little fishies! It feels like Goldfish has been a part of our family life forever. So it's unbelievable that they just celebrated their second birthday last week! We were invited to attend their second-anniversary celebration and I lept at the chance to spend some one-on-one time with Charlie. Since the event fell around Crosby's bedtime, Charlie and I had a Mommy-and-Me date and we both had a blast! On the day of the event, Charlie never napped. The instant he got into the car, he passed out. Which is never a good thing because when he wakes up, he is grumpy. Friday was no exception. He woke up reluctantly and grumpily and wanted nothing to do with the swimming pool. Thankfully, the owner, Amy, and manager, Megan made it their personal mission to cheer him up. After nibbling on some Goldfish crackers and juice, Charlie was finally ready to hop in the pool and I was so excited to jump in with him. Since he moved up in his swim level, I'm no longer in the pool with him. This was the first time I got to play with him in the pool since December and it gave me a really good indication of how much he's progressed in that time. He showed off his swimming, we splashed each other, and played around with pool noodles and kickboards for a good hour before I had to practically drag him out of the pool to dry off. 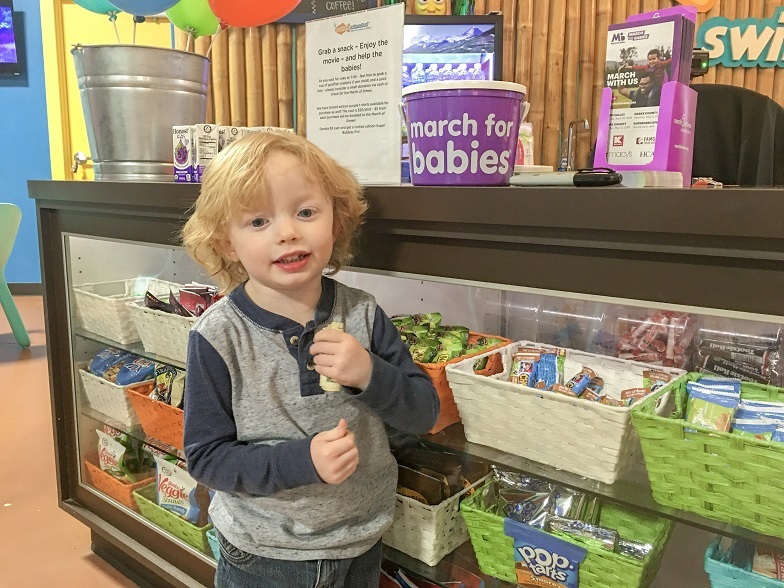 Once we got changed back into our clothes, Charlie filled up on more crackers and juice and made a trip to the snack counter to donate to March for Babies. 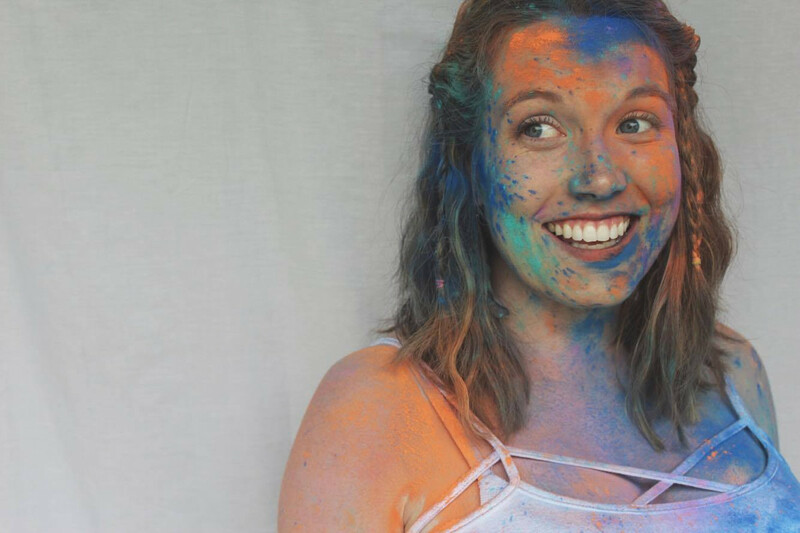 During the month of March, GSS Dayton is hosting several events to raise money for the March of Dimes' March for Babies including fundraisers at City Barbeque and Scene 75 in Dayton. Obviously, Charlie didn't totally get the whole concept of donating, but was happy to help out the babies! I wasn't expecting to stay the entire time, but Charlie was having so much fun and didn't seem ready for bed yet. 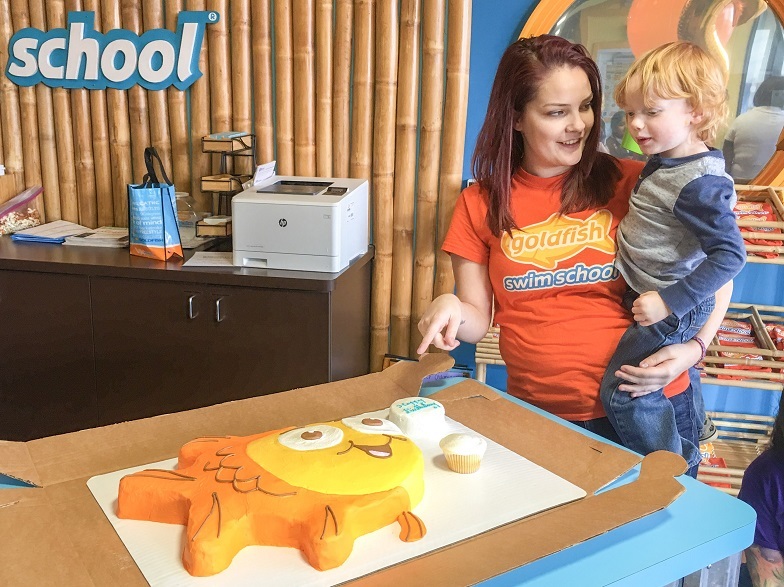 He colored pictures of Bubbles, the Goldfish mascot, and then we got to stick around for the cake cutting. I was glad we did because he didn't stop talking about eating his Bubbles birthday cake for days afterward. 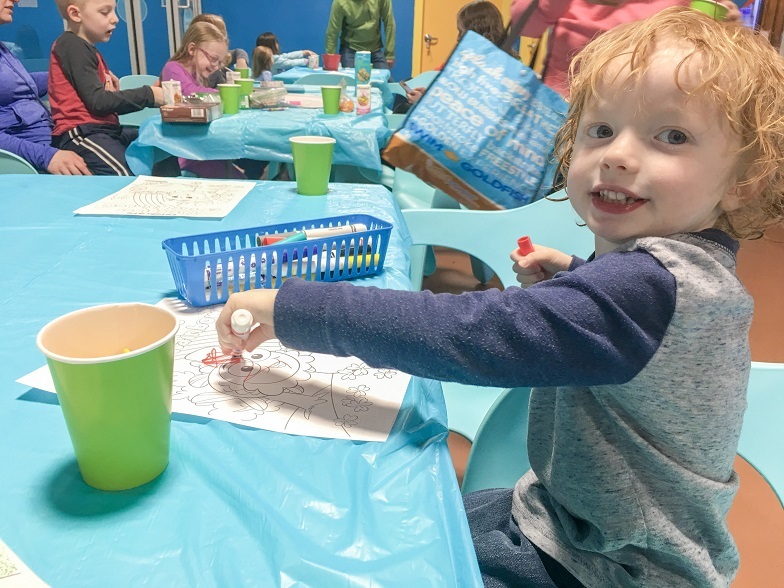 It was the most fun I've with my kiddo in awhile and it was such a treasure to spend one-on-one time with my growing boy. I adore his silly, energetic, and too-smart-for-his-own-good personality and I am so in love with the person he's becoming. 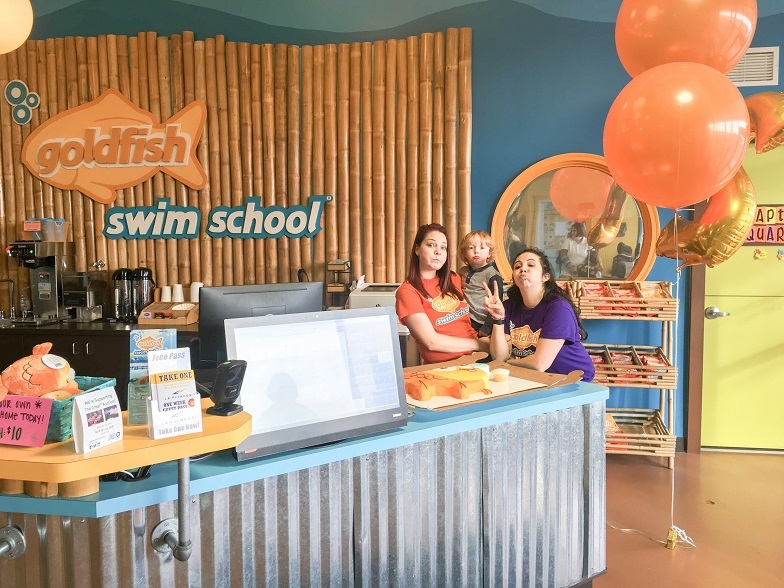 If you're considering swim lessons to get your little ones ready for the beach and pool, go check out Goldfish Swim School immediately!